22: OEM / ODM / Buyer label available, we could customize your products according to your design, shape and size etc. 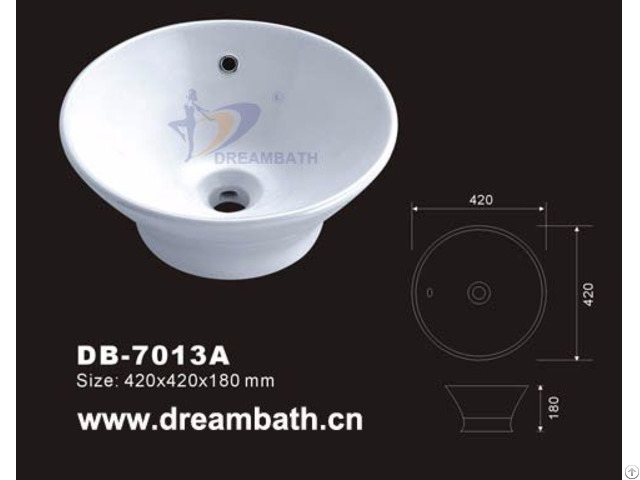 Posted By: Dreambath Sanitaryware Co., Ltd.
Business Description: DreamBath Sanitaryware Co. Ltd. is one of leading suppliers mainly dealing with all kinds of Sanitaryware such as Bathroom Basin, Ceramic Basin, Washbasin,Counter Basin,Above Counter Basin,Under Counter Basin,Vanity Basin,Hand Basin,Bathroom Toilet,Bathroom Bidet, Pedestal Basin,Urinal and Squatting Pan, Resin Basin,Resin Bathtub & Microcrystalline stone basin and so on. Dreambath is a wonderful combination of the nostalgic style to the modern, it has a firm belief that customers are always valued and market is fully occupied. Currently our own brand " DREAMBATH" are well recognized by lots of countries such as Russia, Spain, America, UK, Canada, Germany, Italy, Dubai, Iran, Turkey, Asia, Pakistan, Middle east area etc., meanwhile, it also enjoys a high reputation in the domestic market. We assure you good quality, favourable prices, punctual delivery and best services. "Customer, Service, Efficiency and Trust", that is our Dream Bath Sanitary Ware. Sincerely Welcome you to contact us! Kephen Wu/ Dreambath Sanitaryware Co., Ltd.